Unidentified CCC Men is something you should read. A photograph was taken of a group of 'CCC Men' on May 16, 2009. It was actually a couple of photos that were stitch together some years later. All of the men have been identified except for two. 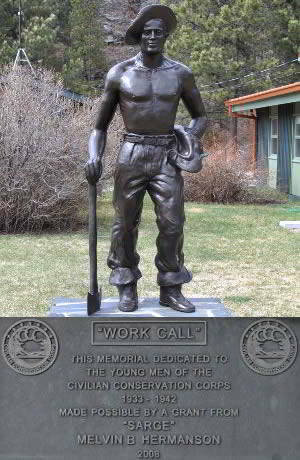 The photo is on display at the Civilian Conservation Corps (CCC) Museum of South Dakota. It is the hope of the museum staff, board members, and friends that they will someday be identified. These men have been identified: Celestine I. Barondeau, A.J. 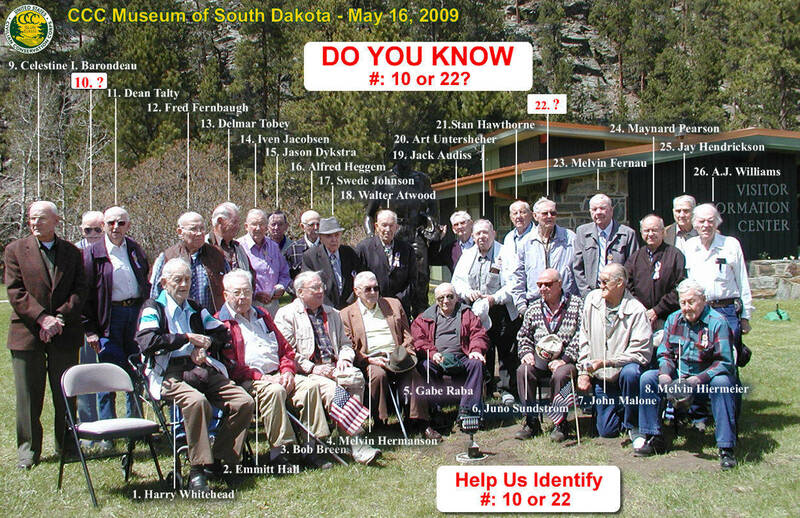 Williams, Jay Hendrickson, Maynard Pearson, Melvin Fernau, Stan Hawthorne, Art Untersheher, Jack Audiss, Dean Talty, Fred Fernbaugh, Delmar Tobey, Iven Jacobsen, Jason Dykstra, Alfred Heggem, Swede Johnson, Walter Atwood, Gabe Raba, Melvin Hiermeier, John Malone, Melvin Hermanson, Bob Breen, Emmitt Hall, Harry Whitehead. All of the men have been identified except for two.